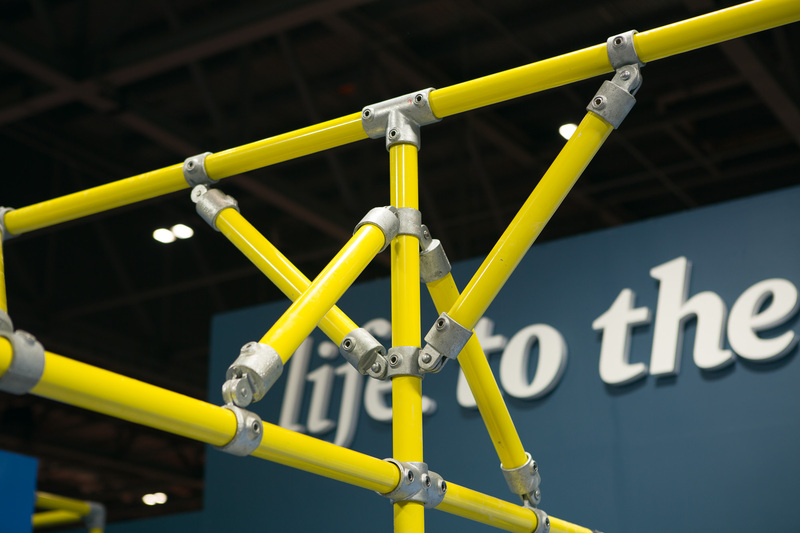 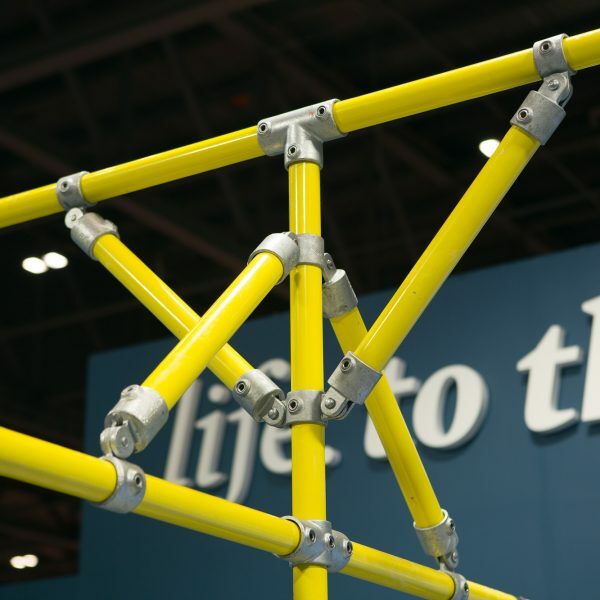 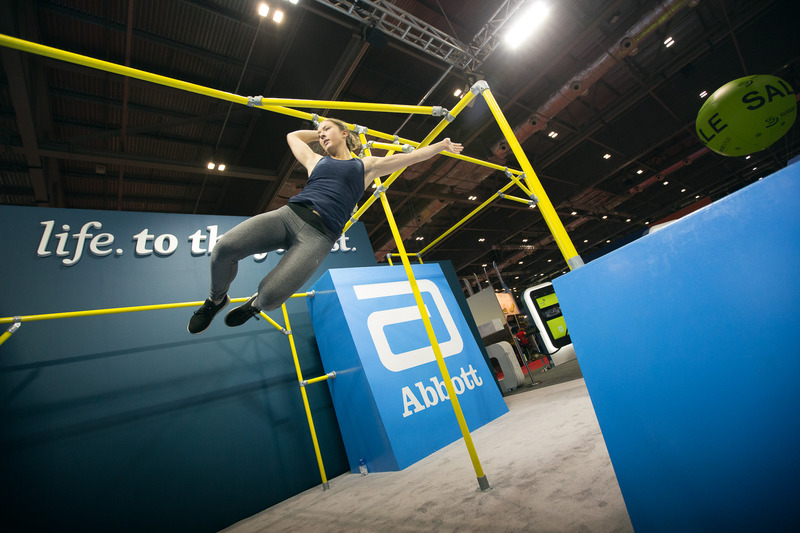 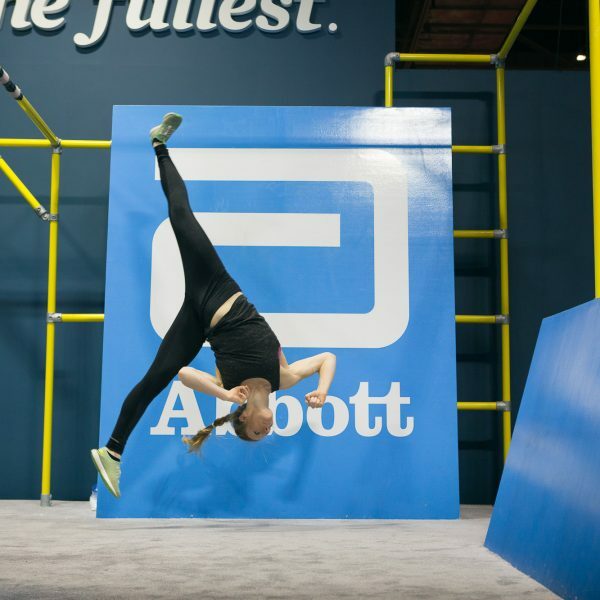 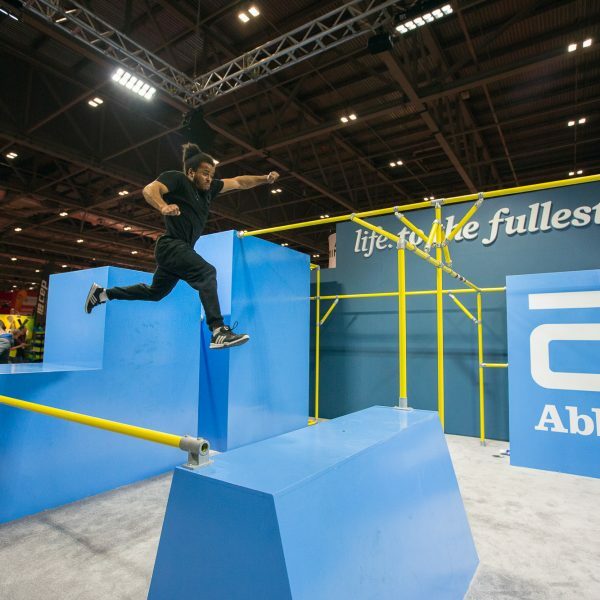 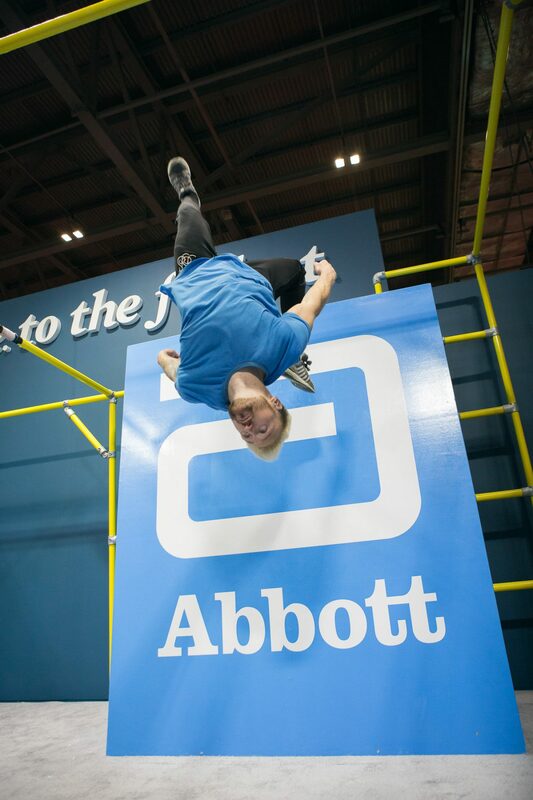 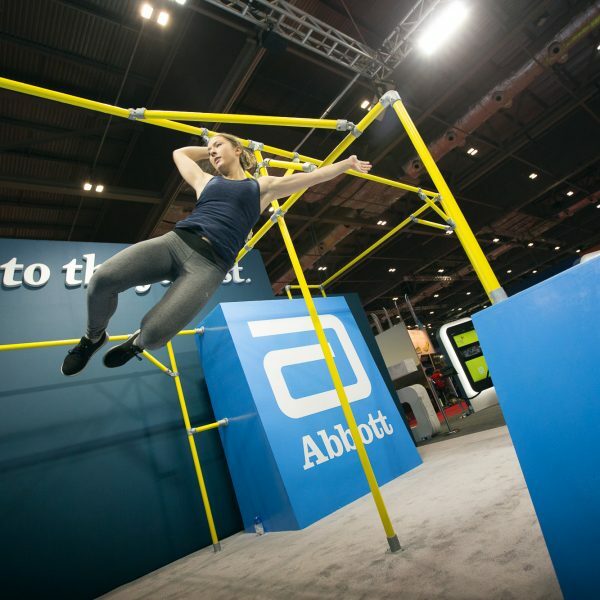 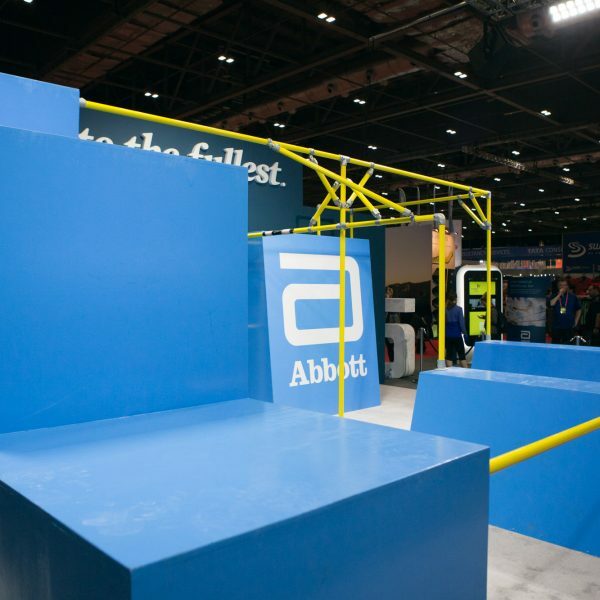 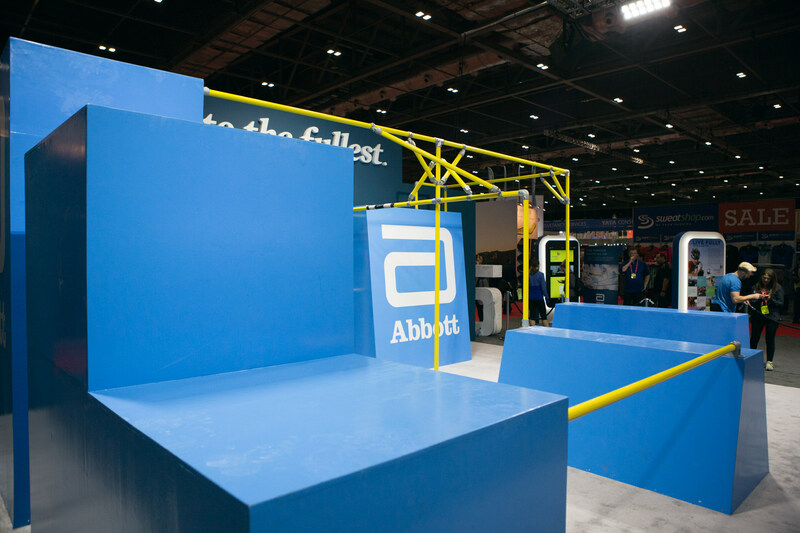 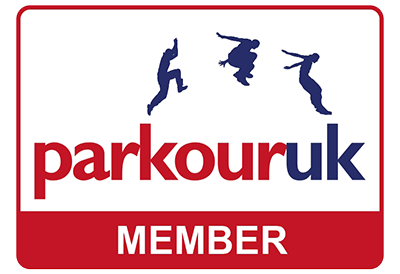 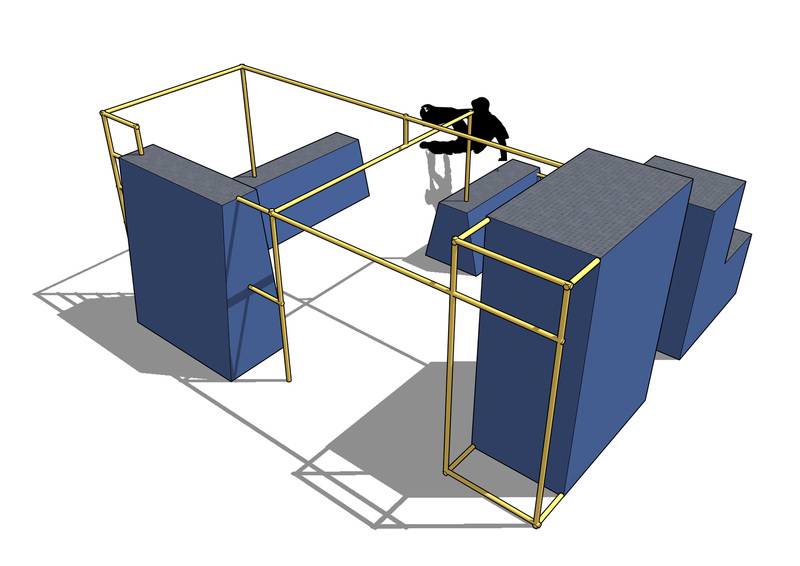 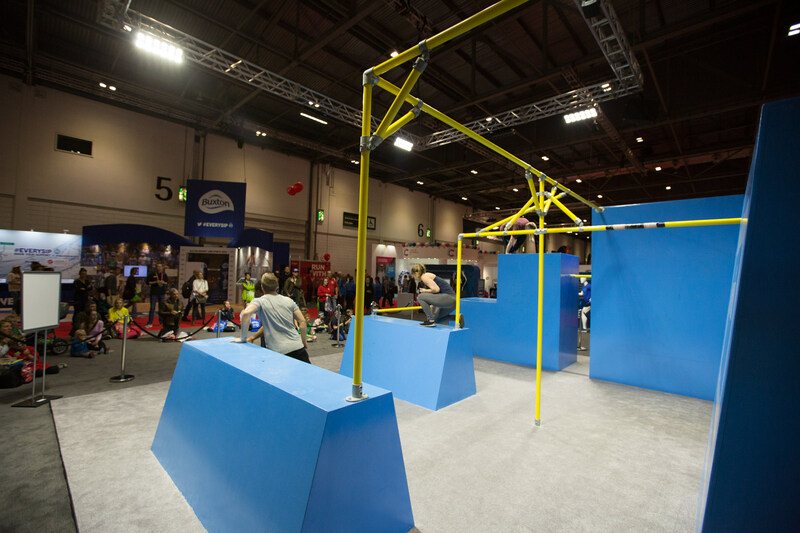 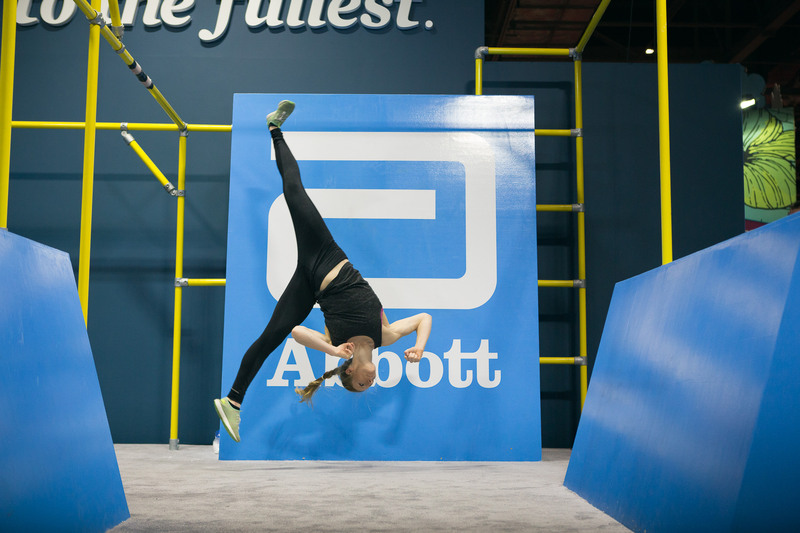 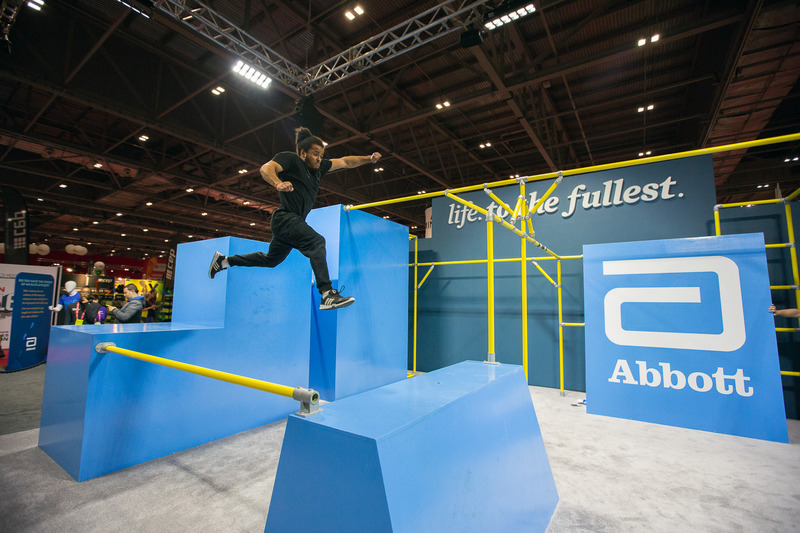 I worked with BuildParkour to design a parkour setup for the Abbott stand at the London Marathon Expo. 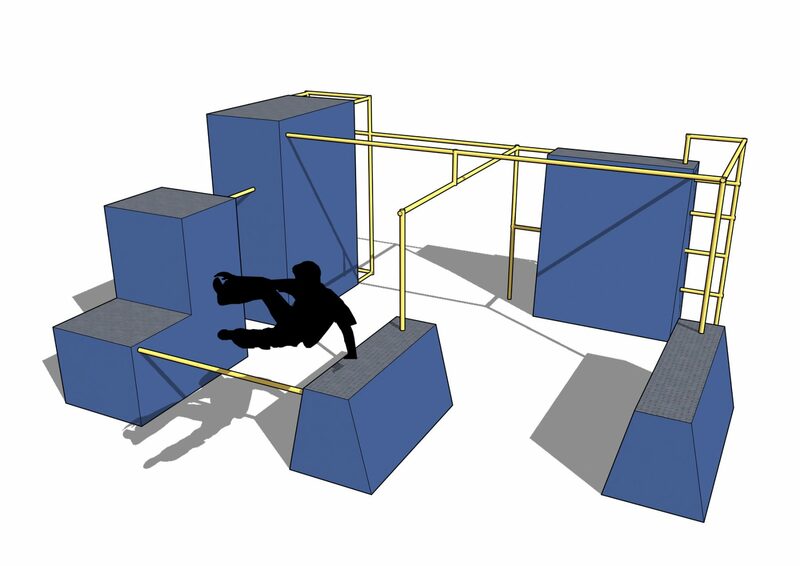 Using my knowledge of Parkour and Freerunning, along with my experience choreographing shows in the past, I developed a layout for the equipment that would cater to a range of skills and abilities. 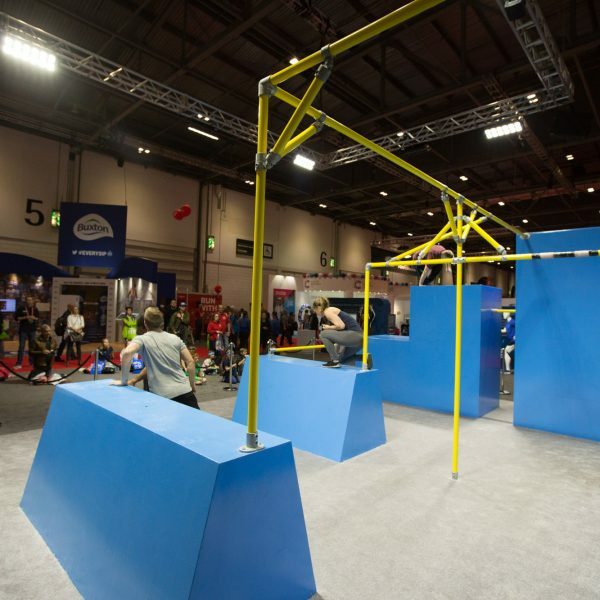 We wanted to allow the athletes to swing, jump, flip and climb. 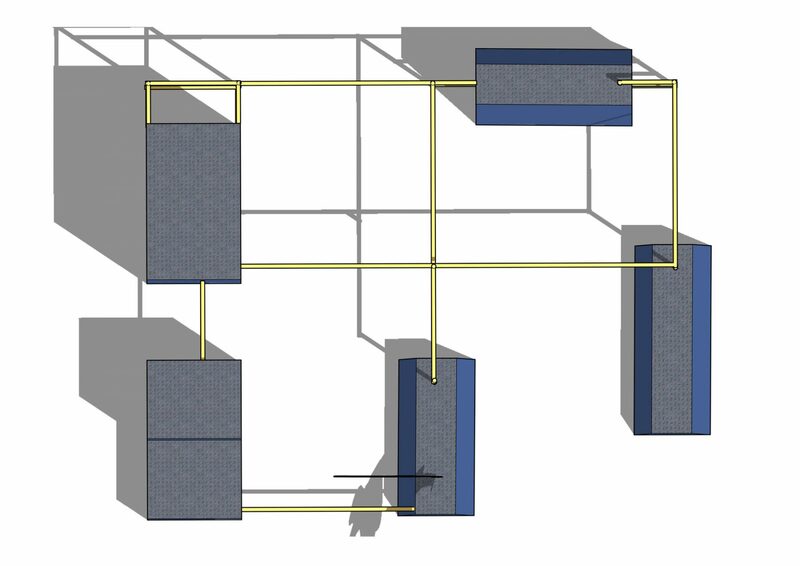 I solved this by staggering elements of the setup to allow for longer areas to run into and out of movements, which vastly increased the potential of the space. 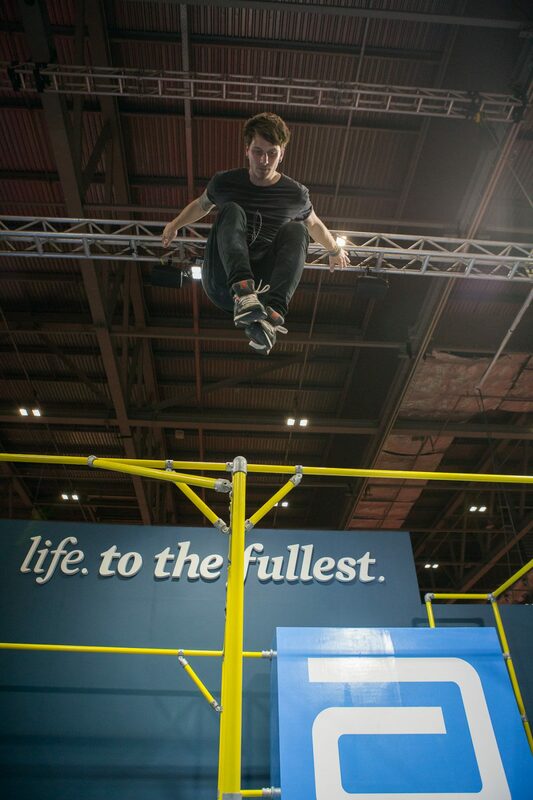 I was present on site to oversee the setup with the BuildParkour team, and I also shot photography of the performances throughout the event. 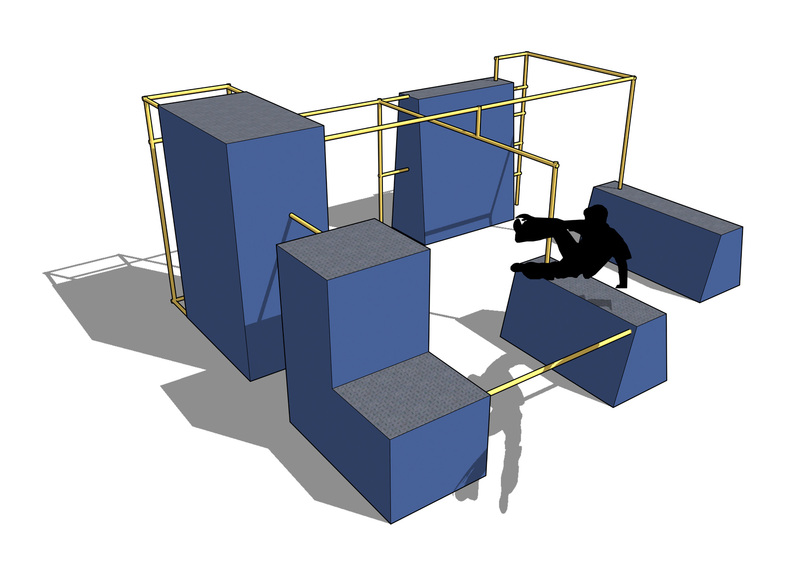 Above: The original design renders for the Abbott Parkour setup. 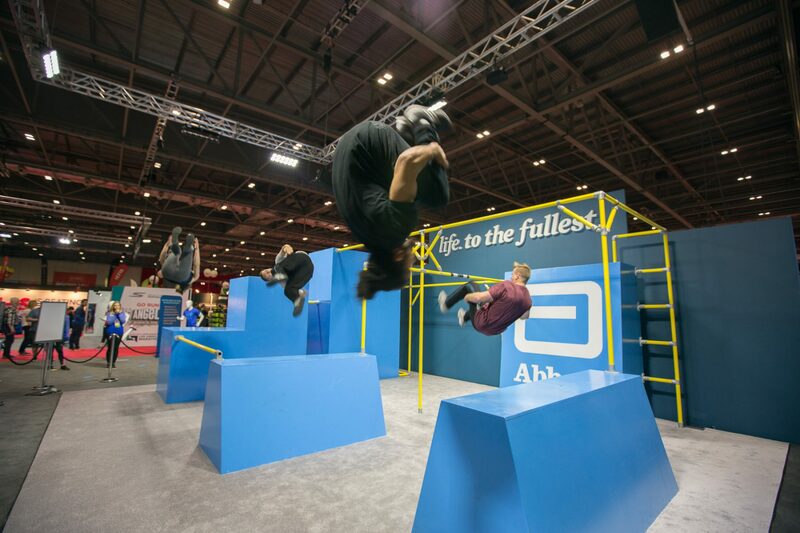 Below: Photography of the setup during the event and the hourly parkour shows. 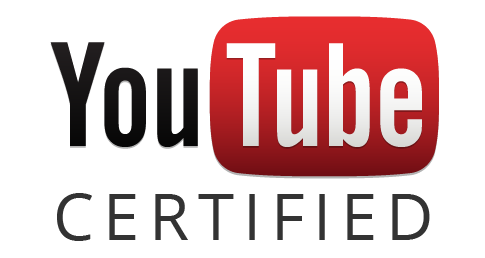 Click an image to see full size.